Christian Rubber Bracelet. 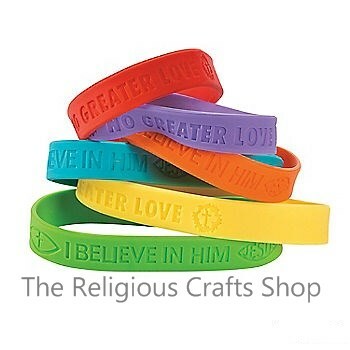 These bracelets are colourful and have different sayings - eg 'No Greater Love' or 'I Believe in Him'. Always popular for fund raising or giving as gifts.